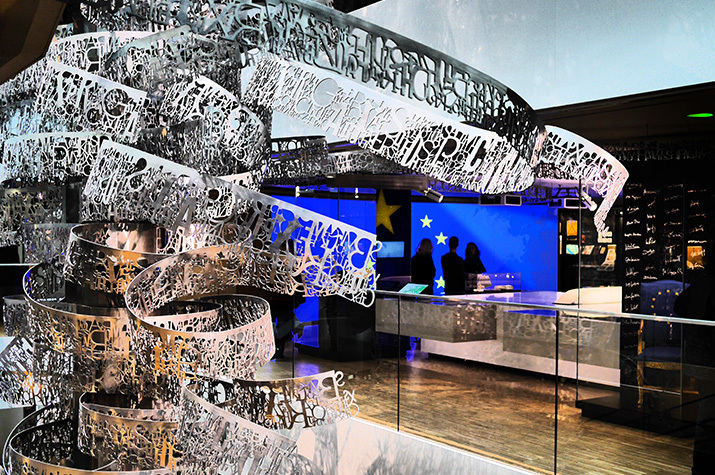 The House of European History permanent exhibition is an AV-rich home for an all-European history. Multiple projections lead the story on every one of the five levels, creating an atmospheric experience that fully engages the visitor. 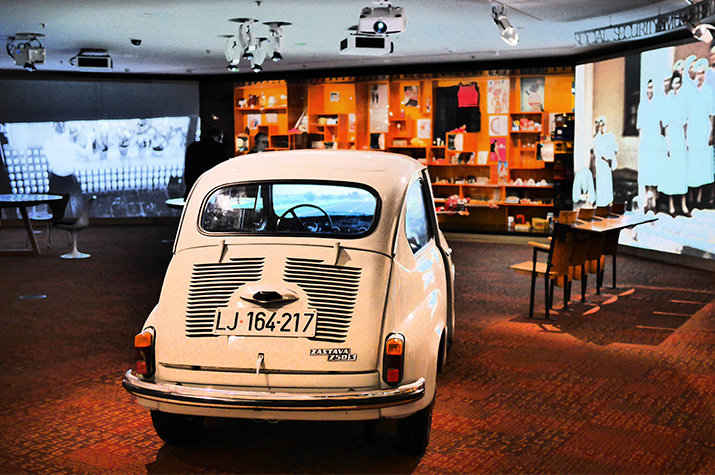 The original projector specification was improved by DJW to embrace lamp-less projectors where possible at no extra cost, but significantly decreasing the ongoing maintenance cost. The final projection piece for the visit is a low saucer-like dome of unusual geometry blending seven projectors hidden in seating to impressive finale experience. 7thSense media servers are used for all of the projections, providing a carefully balanced audio background for the gallery, where audio spill, particularly into the atrium that runs the full building height is minimised. 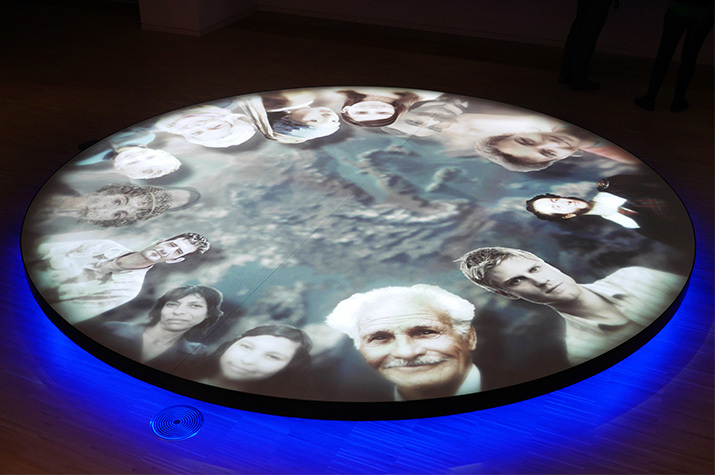 This gallery audio is linked with an audio delivery system by others to give visitors the synched narration in their choice of the 24 European languages. The audio system was fully re-specified to achieve the designers’ aim of almost invisible audio throughout and all equipment installation throughout is sympathetic to the architecture and its visibility minimised where possible. 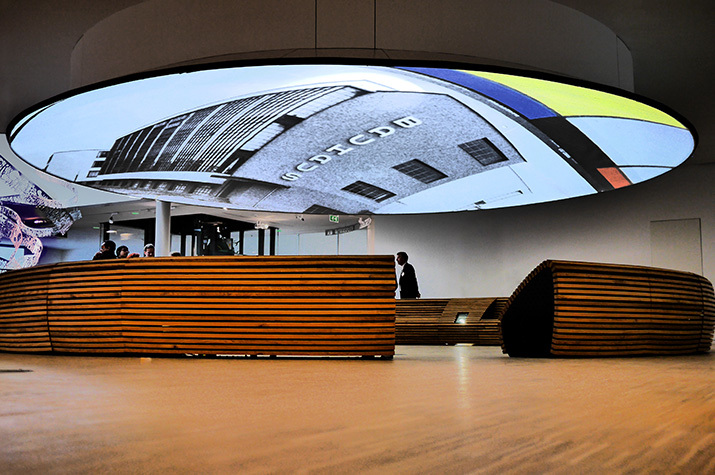 A video wall and other monitors and interactives are carefully integrated into setworks for a stylish finish. Many of these also communicate with the language option system. All source and control equipment is housed in a multi-rack room, laid out, installed, commissioned and controlled for ease of operation and maintenance. DJW also came up with practical solutions that minimised the additional cost to the client of over-length cables with multiple joins present in the building.